[tps_footer]The Khans of Bollywood are notoriously known for not sharing amicable relationships with each other. But one look at their Twitter and you’ll know that it is all just part of rumors. Well, recently Shah Rukh Khan hosted a much awaited and very celebrated bash at his residence in Mumbai for Apple’s CEO Tim Cook. Considering the high-profile nature of the host as well as the person for whom the bash was thrown, it comes as no surprise that the guest list too was heavy-weight. Bollywood’s biggest names including the Bachchans, Madhuri Dixit, Imitiaz Ali, Parineeti Chopra, Gauri Shinde and many more were seen at the bash which was apparently very fun and happening. While we are sure that everyone had a fantastic time at the party, the person who had the best time was none other than SRK’s youngest son AbRam. The cutie pie is well loved on social media for his adorable hijinks and his overall personality – and he’s only started walking! 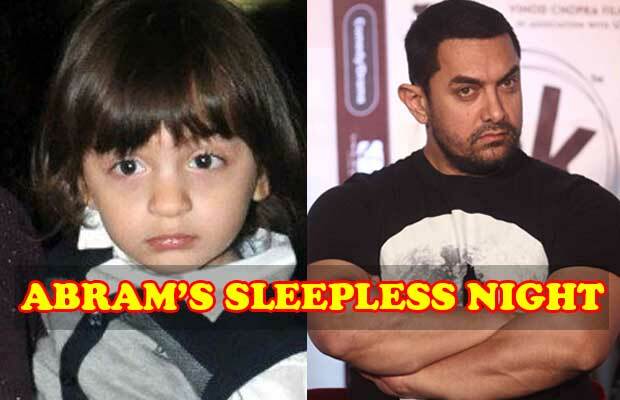 Anyway, the reason that AbRam had so much fun is that Aamir Khan had gifted him some toys to keep him occupied. After all, which toddler cares about parties? Well, turns out that the youngest of SRK’s clan really enjoyed with his new toys.